BC Mission Boat Society / Why Missions? / Why Missions? "Therefore go and make disciples of all nations." We have been called to share, teach, and instruct the nations in all of our comings and goings. We seek to fulfill this so that all may see and embrace the fullness of life that can only be achieved through a relationship with Jesus. Second, through a community's simple question of, "Will you help us?" 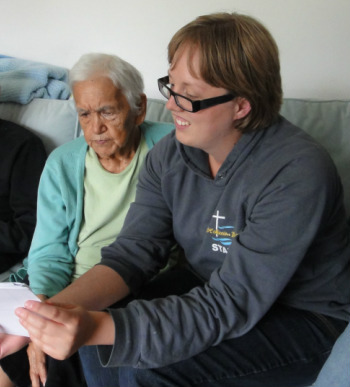 In response to a question put on the heart of a fisherman, a crew from Our Saviour Lutheran Church in Parksville, BC took to the waters to visit those who lived remotely and to simply listen and learn. It was through these conversations and visits that the crew learned of how these remote First Nation communities no longer had a church or pastor to support the Christian community. They expressed concern for the Christians that remained and for their future generations; that they would grow up without the Christian teachings that they once received. Then a community simply asked the crew, “Will you help us?” Upon their return, the crew prayed and reflected on this question, and soon after responded by forming the BC Mission Boat Society. 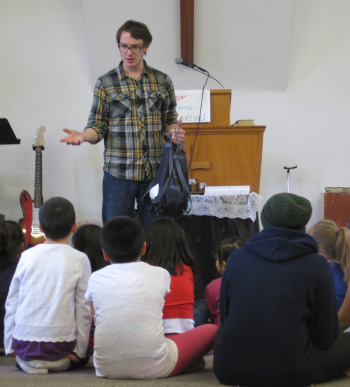 Today we continue to respond to the needs that are put before us using the gifts of those who join us in connecting people in coastal British Columbian communities with God's love.